Rally your fellow heroes and get ready for battle, because the portal to the Nexus is about to bust wide open! 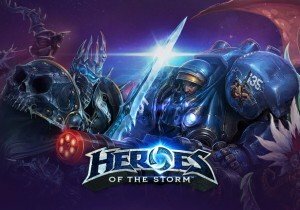 Blizzard Entertainment announced today that Heroes of the Storm™ will officially launch on June 2, following an open beta testing period beginning May 19. The free-to-play online team brawler brings together a diverse cast of iconic characters from Blizzard’s far-flung realms of science fiction and fantasy, including the Warcraft®, StarCraft®, and Diablo® universes, and challenges them to compete in epic, adrenaline-charged battles. By utilizing cube map light probes, Camelot Unchained will essentially be able to quickly dynamically render real-to-life lighting effects.